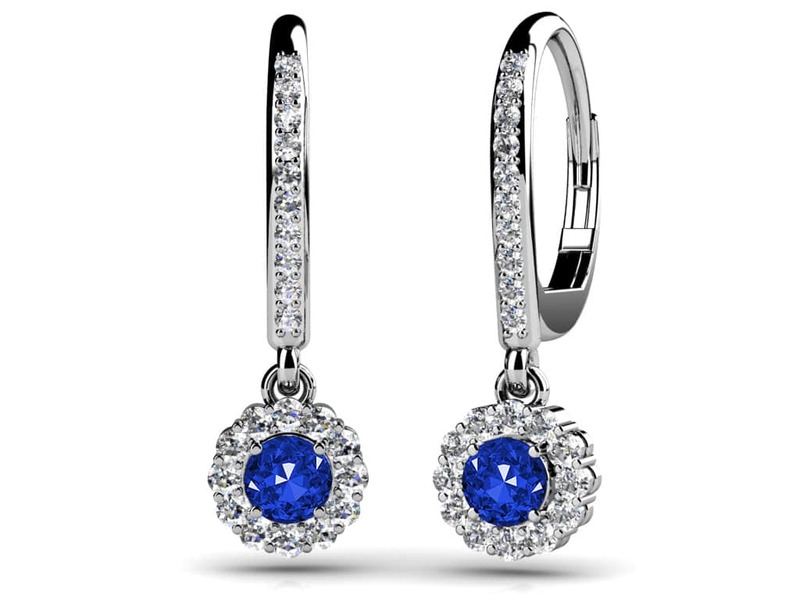 Like beautiful ornaments for your ears, this pair of gemstone and diamond drop earrings adds sparkle to any outfit. This earring design features a traditional shepherd hook that will keep this stylish earring securely in your ears. 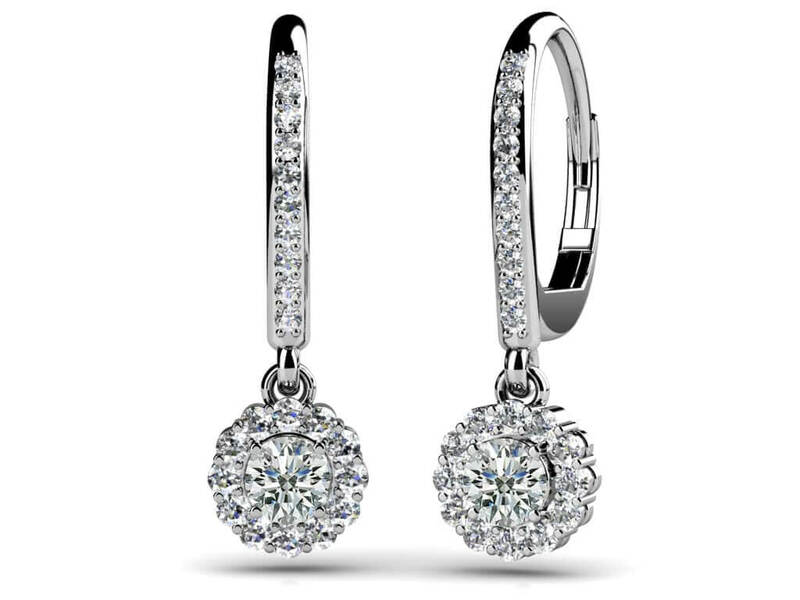 A single row of round diamonds flows down the front of this earring, with a circle shape made of one beautiful gemstone surrounded by more diamonds at the bottom. You can customize this pair for yourself in either white gold, yellow gold or platinum and in your choice of sizes. Available sizes are .50 ct, .75 ct and 1.00 ct. and include either 40 or 42 diamonds depending on the size you choose. All gemstones are AA quality. Stone Carat Weight: 46X.005 ct., 2X0.110 ct.